Amazon is creating experience that consumers then expect—and demand—from other companies. Amazon consistently offers solutions that ease consumer pain points. In doing so, they shape an experience that consumers then expect—and demand—that other companies match. And with 64% of US households subscribing to Amazon Prime, Amazon’s ability to influence shopper expectations is real. Amazon’s efforts to streamline the shipment process is no different. They’ll get packages to customers faster, and by increasing efficiency they’ll also be able to offer lower prices. A win for consumers, and another win for Amazon’s ever-growing empire. This behind-the-scenes change makes life easier for the millions of Amazon shoppers as they offer a level of convenience no one else will be able to match. Loyalty to Amazon will increase, and retailers will be even more beholden to the giant. 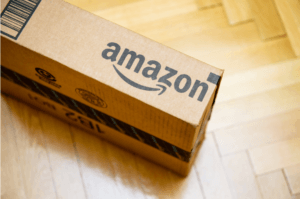 And as retailers scramble to find their footing, Amazon is busy duplicating and replicating their services and incorporating Amazon-branded products into their formidable ecosystem. Many retailers will be left with two choices: partner with Amazon—on their terms—or risk losing customers. 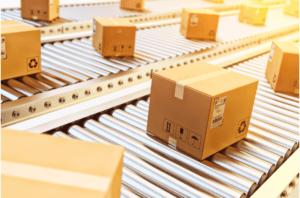 While the Amazon Effect has drastically changed the retail landscape—and its encroachment on shipping further solidifies its hold—it has opened up new opportunities to service customers. In other words, it’s not the end for traditional retailers. By looking at existing gaps in the customer experience they can breathe new life into their service offerings. And customers will be happier for it. Nordstrom Local is one example: Nordstrom has chosen to complement the preferred digital shopping experience instead of competing with it. Customers can bring the items they ordered in for tailoring, pick up new packages, and enjoy an experience that reflects the brand’s values and caters to the customers’ needs. Retailers need to bring their brands to life in innovative ways. They can do this by catering to and nurturing their community through intimate and personalized experiences that Amazon can’t compete with…yet.